The Planet Waves Custom Series D'Addario PW-MPXLR-06 is a Y cable designed to connect your mobile device to any sound system that sports XLR inputs. At one end of the cable, you'll find a 3.5mm stereo connection for smartphones, tablets, media players, computers, and other compatible accessories. At the other are two XLR male plugs. The cable is 6' long. 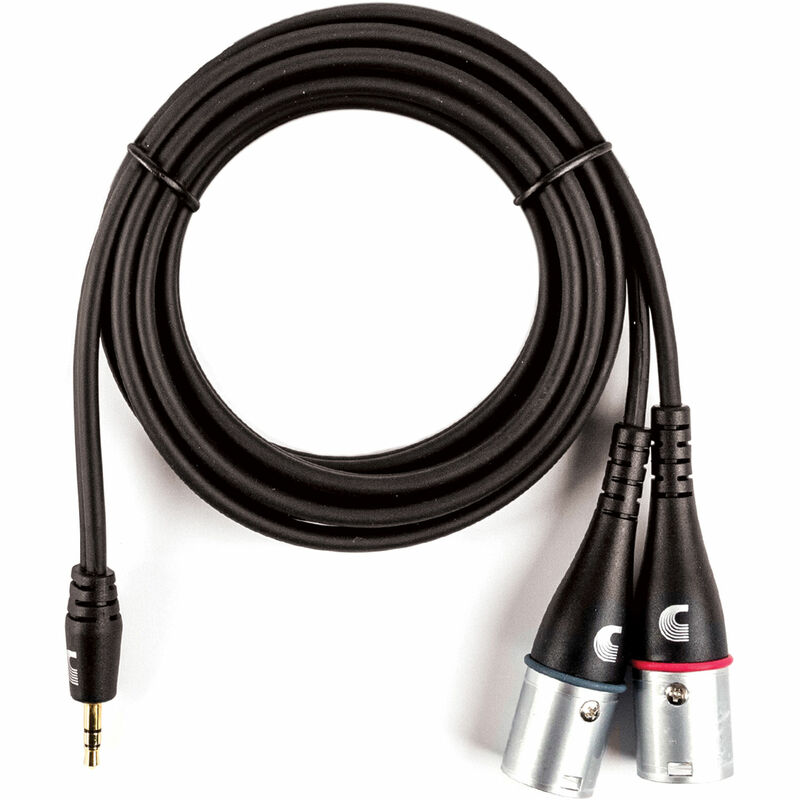 PW-MPXLR-06 Planet Waves Custom Series 3.5mm to Dual XLR Y-Cable (6') is rated 5.0 out of 5 by 1. Rated 5 out of 5 by Vijoy from Best Cable I could find out Works perfectly fine. Loves the clarity and crispness. Very easy to plug and unplug. Good size cable and quality construction.